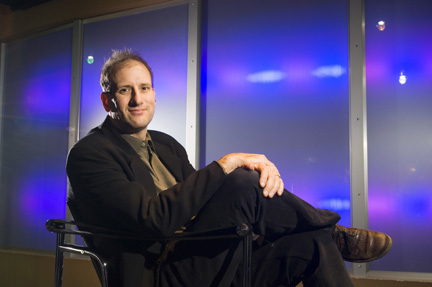 Currently, David Grinspoon is Curator of Astrobiology in the Department of Space Sciences at the Denver Museum of Nature & Science and has recently been appointed Baruch S. Blumberg NASA-Library of Congress Chair in Astrobiology for a one year sabatical from November 2012-November 2013. As Chair of Astrobiology he will conduct research examining the choices facing humanity as we enter the Anthropocene Era the era when human activities become a defining characteristic of the physical nature and functioning of Earth. For the official press release from the Library of Congress click here and for the official press release from NASA click here. For more information on David’s position at the Library of Congress, click here. 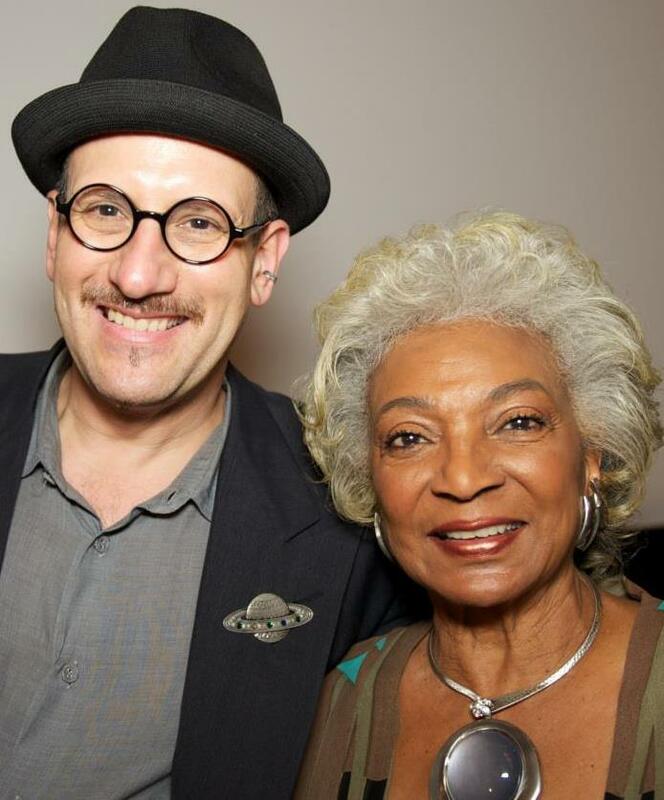 David with Lt. Uhura from Star Trek at the Famelab Finals in Atlanta. Recently, David acted as a judge for the 2012 NASA Famelab competition, judging young scientists on how well they can communicate a science concept in 3 minutes or less. Additionally, David is an adjunct professor of Astrophysical and Planetary Science at the University of Colorado. An internationally known Planetary Scientist funded by NASA to study the evolution of Earthlike planets elsewhere in the Universe, Dr. Grinspoon serves as an advisor to NASA on space exploration strategy. He serves as an Interdisciplinary Scientist on Venus Express, the European Space Agency’s first mission to Venus. David is currently a science team member of the NASA Astrobiology Institute Titan Team and serves as science Co-Investigator team lead for Education and Public Outreach for the Radiation Assessment Detector (RAD) on the Mars Science Lab (MSL), which successfully landed on Mars on August 5th, 2012! He has also lectured and published widely. His first book, Venus Revealed, (Perseus Books, 1998) was a Los Angeles Times Book Prize finalist. David was also selected to be trained as a sub-orbital scientist/astronaut and completed his training on the 13th of January 2010. His latest book, Lonely Planets: The Natural Philosophy of Alien Life won the 2004 PEN Center USA Literary Award for Research Nonfiction. His popular writing has appeared in Slate, Scientific American, Natural History, The Sciences, Seed, Nature, Astronomy, the Boston Globe, LA Times and the New York Times. 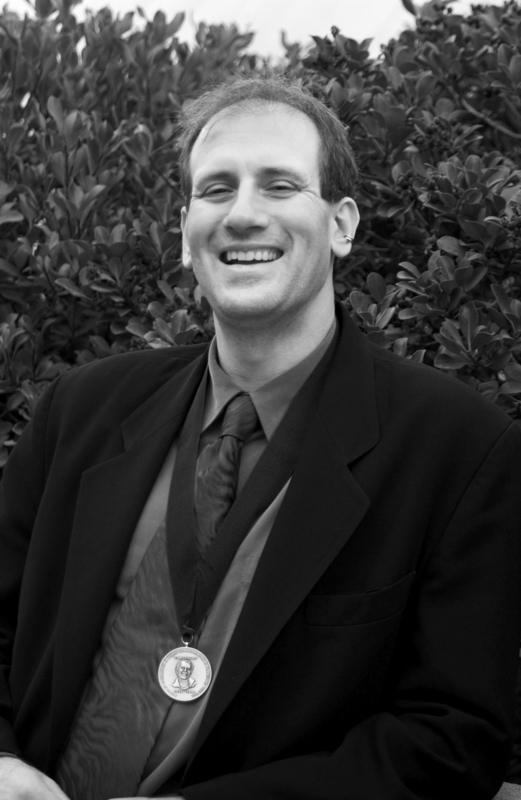 His technical papers have been published in Nature, Science, and numerous other journals. Dr. Grinspoon has been featured on numerous television (PBS’s Life Beyond Earth; BBC’s The Planets) and radio (NPR’s Science Fridays, Wisconsin Public Radio, BBC World Service) shows. He has given invited talks at international conferences throughout the U.S., Europe, and Australia. The American Astronomical Society awarded him the 2006 Carl Sagan Medal for excellence in public communication of planetary science. Grinspoon is also an award-winning musician who has played guitar and sung in several great bands destined for obscurity. In fact, Dr. G played lead guitar for a band called the Geeks years before being a geek became cool. Grinspoon holds degrees in Philosophy of Science and Planetary Science from Brown University and a doctorate in Planetary Sciences from the University of Arizona. He currently lives in Washington, DC and has no cats.